Modern-day fabricators are facing new challenges with increased use of glass mosaics and tile inlay in todays fabrications. The DL5000 helps meet these challenges. The DL5000 cuts through tile, stone, porcelain and glass with ease, speed and comfort - the key is its three-wheel system. The top wheel assembly pivots on a seperate bearing with suppressors controlling its motion. By absorbing more vibration, the saw is capable of extremely effective blade-material contact. With the blade tensioning knob directly connected to the top wheel assembly, accurate adjustments can then be made. 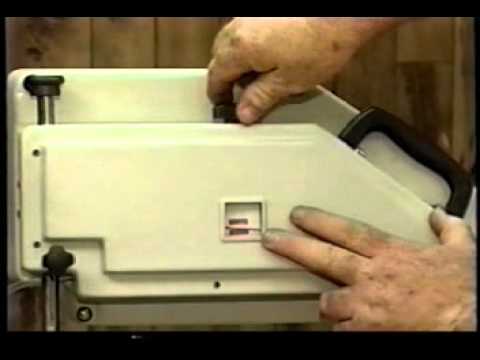 This portable band saw is a contactor’s best friend.